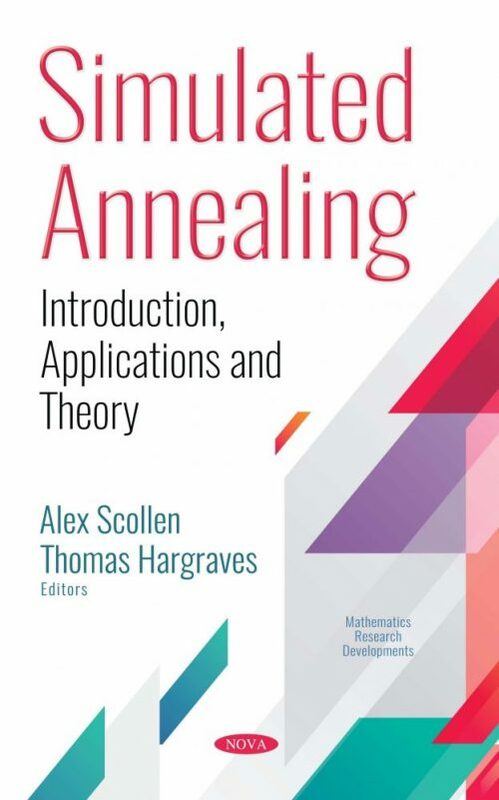 The opening chapter of this book aims to present and analyze the application of the simulated annealing algorithm in solving parameter optimization problems of various manufacturing processes. The main specifications of the studied optimization problems are analyzed, and the tuning of the simulated annealing algorithm-specific parameters in solving process optimization problems is also discussed. Genetic algorithm, particle swarm optimization, etc., are also considered in process parameter design problems. Next, the authors describe applications of the simulated annealing method to biological macromolecular systems. The first important example is the reconstruction of an inappropriate three-dimensional (3D) structure of a functional site in a protein, built based on X-ray crystallographic experiments. The authors determine that the simulated annealing scheme is a powerful method that is applicable for resolving the local minimum problem in various scientific fields related to biological macromolecular systems. Following this, the development of the simulated annealing based MPPT method is detailed and simulations evaluating the performance of the technique are highlighted. Special focus is also paid to the parameters of the simulated annealing method, as well as which of these have the most influence based on the PV system configuration. Continuing, this collection proposes the application of simulated annealing algorithm to detect, from a fixed and random set of temperatures of the radiant zones of oven, the best temperatures that must be assigned to the heating zones. An example of the optimization of the heating stage of the high-density polyethylene (HDPE) grade sheet is presented. Another chapter discusses how, to reconstruct a porous media from two-dimensional (2D) images to three-dimensional (3D) images, several parameters (such as the spatial correlation) must be preserved. Otherwise, the 2D grain size distribution is known to be different from the 3D grain size distribution. Thus, a simulated annealing method to correct the grain size distribution from 2D to 3D is proposed. In the next study, a maximization methodology to recover energy (considering installation feasibility) was proposed to allocate recovery machines within water networks by using simulated annealing techniques. The authors suggest that simulated annealing, in the proposed methodology, is a powerful water management tool that may aid in the search for sustainability in irrigation networks. In the book’s conclusion, the performance of a variable Markov chain length method in unconstrained optimization problems has been studied experimentally. For this purpose, eighteen benchmark optimization functions with different dimensions were employed to compare performance and convergence behavior of this algorithm to the standard simulated annealing algorithm with different Markov chain lengths.